Field programmable gate arrays (FPGAs) provide reconfigurable computing fabrics that can be tailored to a wide range of time and power sensitive applications. Traditionally, programming FPGAs required an expertise in complex hardware description languages (HDLs) or proprietary high-level synthesis (HLS) tools. Recently, Altera released the worlds first OpenCL conformant SDK for FPGAs. 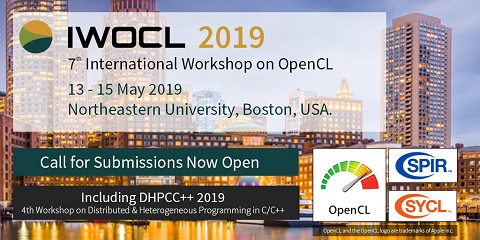 OpenCL is an open, royalty-free standard for cross-platform, parallel programming of heterogeneous systems that together with Altera extensions significantly reduces FPGA development time and costs in high-performance computing environments. In this paper, we demonstrate dynamic programming on FPGAs with OpenCL by implementing the Smith Waterman algorithm for DNA, RNA, or protein sequencing in bioinformatics in a manner readily familiar to both hardware and software developers. Results show that Altera FPGAs significantly outperform leading CPU and GPU parallel implementations by over an order of magnitude in both absolute performance and relative power efficiency.